still bad since there still is no save and the game freezes when you die. only chance is to close the window. Hi I love your game! It was really fun. Would kill for a Boneko hat hoodie lol. When it's ready, as they say. I loved this game. Cats are freaking cute!!! I play with fullscreen Windows 10 64Bit. So I personally loved this game, even with the frustrations I had at the end and a game crash. Seeing as how this is a prototype I can forgive it, and seeing all the screen shots and footage make me really excited about what the game will be like when it's out. I'll be keeping tabs on this game for sure. Hi, any chance for a steam release? 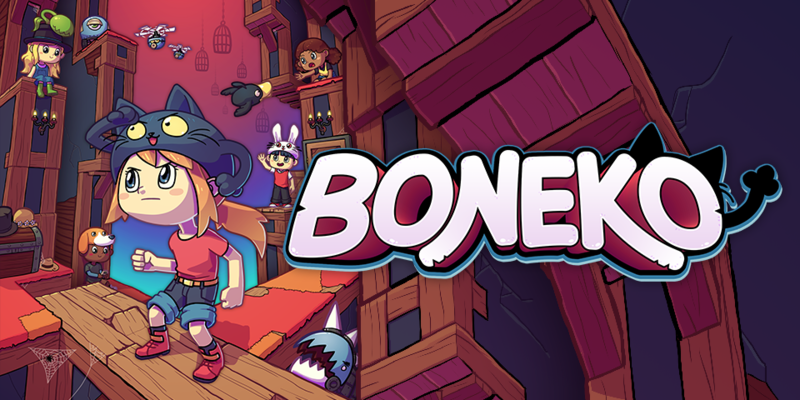 This is an extremely charming little platformer. Sadly mine crashed before I could reach the end (as can be seen in the video) but the prototype does come with a read me warning stating that this can happen, so I forgive it. Even with that I did really enjoy my time with it, and I will definitely be checking out the full release. I did a video on this game. This game is really fun to play. Of course, on the chase part, I did die, but the game froze. But fun none the less. Here's a video. Super fun reminded me of when I was a kid oh so long ago! Playing a game on the NES called a boy and, his blob. Not sure if this is inspired by that in a way or, if it's mere concidence that I connect the two! This was sooooo good! I'm always drawn to old school platform / action games, being of the Sonic and Mario generation (that seems weird to say since those guys span so many generations). Anywho, this is adorable. And fun. And adorable. And super hard. And adorable. And a little bit frustrating. But most of all adorable. Honestly, I can't praise you guys enough, and even though I did rage quit once I felt compelled to come back and complete this small demo (mostly because I felt guilty about raging). This is fun, even the current version, it would be nice to have a save system and I'd just enjoy that, but the new version you're working on looks fantastic. I love the quirky dialogue and ridiculous powers. I was dumb and died at the witch. Game froze as warned. le jeu est sur un chapeau chat appelé Boneko, et une fille avec le visage toad. La chose drôle est que, dans la fin, l'hôtel était sous la forme du mot END.